Do I Need a New Roof? What Does Roof Damage Look Like After a Storm? Triton Roofing was created by Justin Baker and Todd Dorpinghaus. 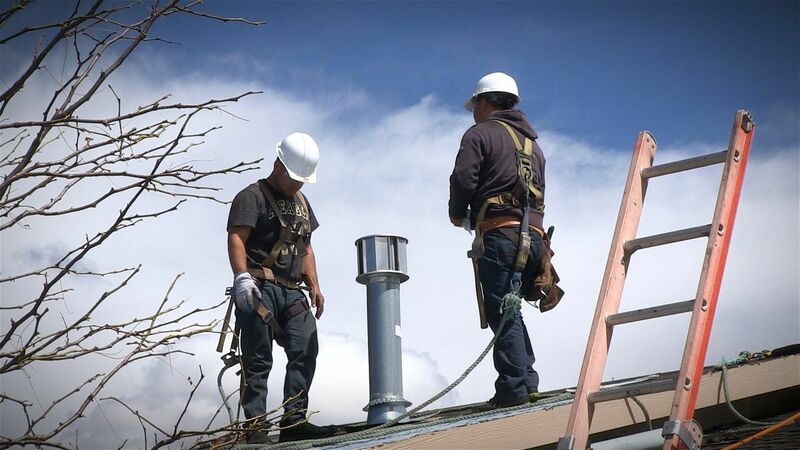 Friends for many years and business associates in the home inspection and maintenance fields they saw a disturbing trend in the roofing industry. Both having worked in the roofing business they noticed distinctive patterns in poor customer service and product support. Their high standards and attention to detail come from the years of military service in both the Canadian Forces - Navy and the United States Navy. Justin spent 14 years as a Naval Electronic Sensor Operator (NESOP) and qualified Above Water Warfare Director (AWWD) in the CF Navy with the last three years of his service working as the Non-Commissioned Officer in Charge (NCOIC) of the Missile Warning Center within Cheyenne Mountain AFS. Todd retired from the United States Navy with a distinguished 24 years of service to his country. His background is Quality Assurance/Maintenance. To provide the highest quality products and workmanship to our homeowners and clients. Our goal is to achieve 100% customer satisfaction with a no hassle experience. With our extensive knowledge, training and certifications we believe that Triton Roofing can far exceed any expectations for all residential or commercial roofing projects. Triton Roofing, with its highly-qualified staff of employees, is equipped to fulfill the requirements of virtually any residential or commercial roofing job. The company is privately held and family owned.